It’s a TV adaptation that follows a journey of an innocent and extremely cute guy named Richard Cypher (act. 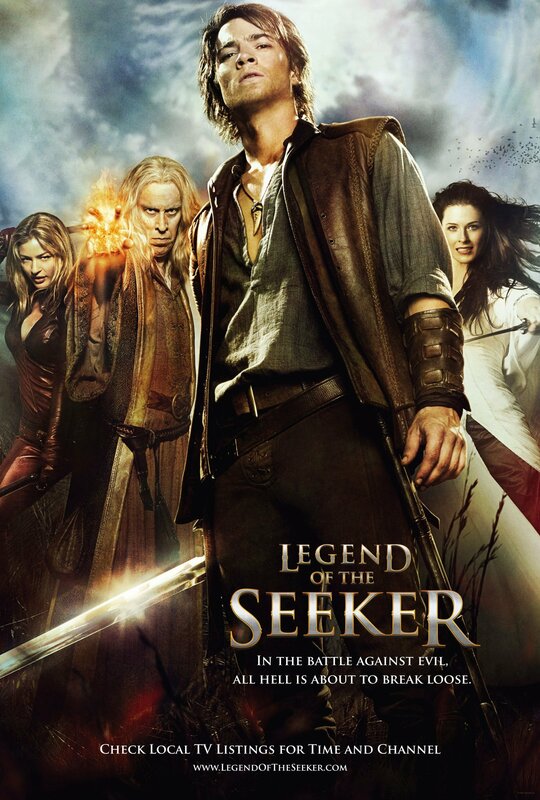 Craig Horner). His over-the-top-positive and open heart falls for a much more mentally mature, gorgeous and mysterious lady in white Kahlan Amnell (act. Bridget Regan) who possesses wickedly impressive power over love and devotion. Based on the series of fantasy books by Terry Goodkind. Millions of readers the world over have been held spellbound by this valiant tale vividly told. Now, enter Terry Goodkind’s world, the world of The Sword of Truth. In the aftermath of the brutal murder of his father, a mysterious woman, Kahlan Amnell, appears in Richard Cypher’s forest sanctuary seeking help…and more. His world, his very beliefs, are shattered when ancient debts come due with thundering violence. In their darkest hour, hunted relentlessly, tormented by treachery and loss, Kahlan calls upon Richard to reach beyond his sword-to invoke within himself something more noble. Neither knows that the rules of battle have just changed…or that their time has run out. This is the beginning. One story. One Rule. Witness the birth of a legend. – Written by Terry Goodkind. Filmed in New Zealand. 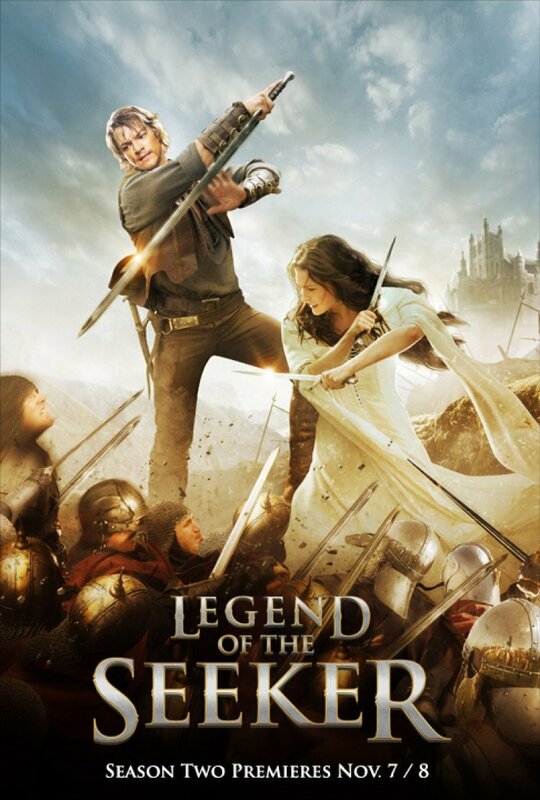 Two executive producers of Legend of the Seeker, Sam Raimi and Lucy Lawless’ (played Xena in Xena: Warrior Princess, Lucretia in Spartacus) husband, Rob Tapert were also behind the swords and sandals series Xena: Warrior Princess and Hercules: The Legendary Journeys. After the show was canceled fans battled for a while sending letters to different networks, mass-tweeting on many occasions, organizing petitions and making a lot of fan videos. A series of incredibly imaginative and well-written fanfictions also emerged. Some of the best works are about Kahlan and Cara’s relationship. Quotes and links can be found here.